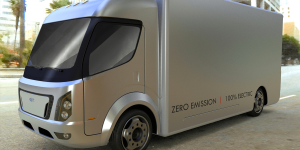 The California based companies CityFreighter and XPO Sales are cooperating to develop and market fully electric delivery trucks. Their first vehicle will be the CF1, a new electric transporter designed for last mile deliveries with a 100 mile range (160 km). The ambitious plans by the Sino-German EV startup Aiways are becoming more tangible. 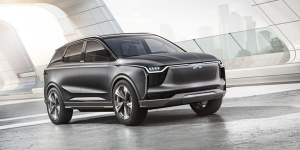 The first volume production model will be the electric SUV Aiways U5 Ion, which will hit the Chinese market in September 2019, and Germany starting in 2020. 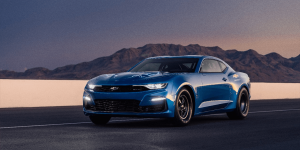 The American automobile manufacturers have surprised with the presentation of a fully electric drag racer named COPO Camaro with 515 kW performance and an 800 volt architecture. 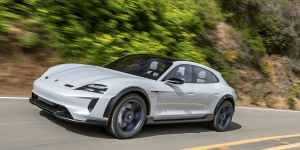 The Mission E Cross Turismo, first introduced as a concept at this year’s Geneva Motor Show, will go into serial production as a derivative model of Porsche’s first electric vehicle, the Taycan. 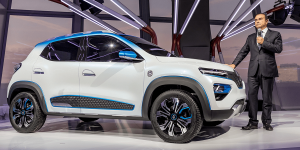 The Paris Motor Show saw Renault present their Showcar K-ZE, which is a prototype for the announced City SUV models, which will be released in China next year. Furthermore, the automobile manufacturer has announced additional PHEV and HEV versions of current vehicle models. Smart is celebrating their 20th birthday at the Paris Motor Show with their new show car Forease. 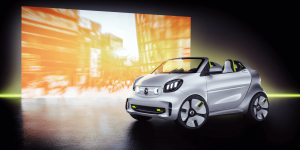 The electric concept is based on the Smart EQ Fortwo Cabrio, and has been announced to showcase the future direction for the company. 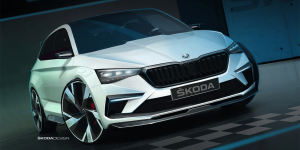 The Czech VW brand Škoda has announced plans to present the Vision RS concept at the Paris Motor Show beginning in early October. The concept is a plug-in hybrid with 180 kW system performance and a 70 km electric range. 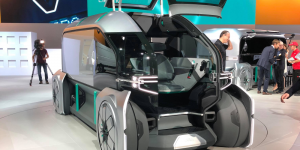 We know the future of transport to be electric, connected and autonomous ideally but there are different versions of how that may look like. 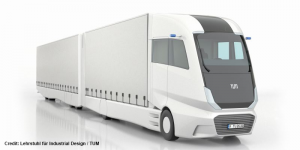 The TU Munich has come up with a concept called Truck2030 that includes the use of long and heavy LHV trucks and also fun ideas. 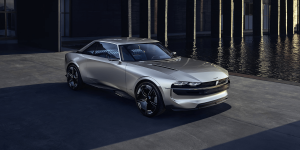 Peugeot has announced their e-Legend concept, which is a fully electric and autonomous homage to the popular Peugeot 504 Coupé. The premiere of the e-Legend will take place at the Paris Motor Show in early October. Renault presents EZ-PRO at the IAA Commercial Vehicles. 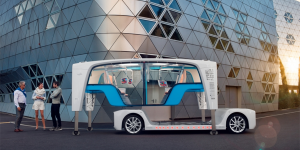 The concept consists of a bunch of connected robo-pods and while they are autonomous, Renault envisions a human leader of the pack coordinating last-mile deliveries. 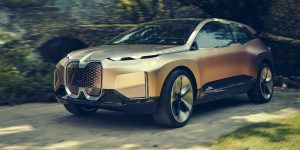 BMW presents the look of their future technological direction with the Vision iNEXT, a concept, which will enter serial production in 2021. 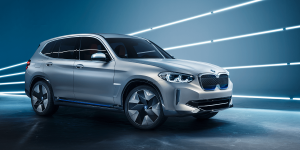 The SUV is fully electric, highly automated and fully networked and, the core of BMW`s project iNext for now. 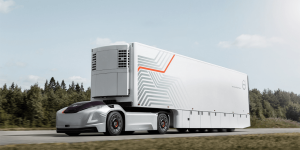 Volvo Trucks has presented a new truck concept named Vera, which comprises a fully electric system, as well as autonomous driving capabilities. 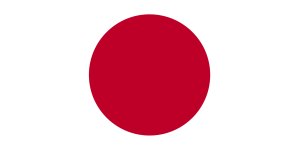 They aim to serve companies with regular transport between fixed logistics locations. Daimler is looking to get ready for future urban transport – in any form. 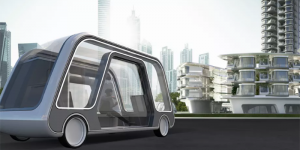 Their latest concept is double-sided, and not “just” autonomous and electric. The “Vision Urbanetic” can be transformed from minibus to delivery van in less than two minutes. 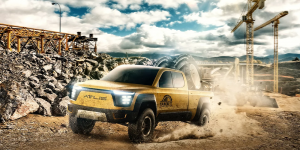 Atlis Motor Vehicles from Arizona is working on a fully electric pickup truck. Their first model boasts four electric motors and three battery variants for ranges between 480 and 800 km. A small series is to hit by 2020. As of the 1st September, it is possible to reserve the fully electric BMW iX3 in Norway for a down payment of 15,000 Norwegian Krone (about €1,550). The final purchase price however, has still not been announced. The start of serial production is estimated for 2020. 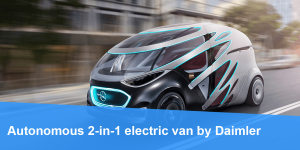 Researchers from the German centre for aviation (DLR) have created a new body concept for small size electrified vehicles as part of the project Next Generation Car. 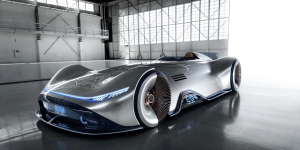 At the Pebble Beach Motor Show, Mercedes presented a new electric concept. The Vision EQ Silver Arrow is a design homage to the record racer W 125 from 1937. 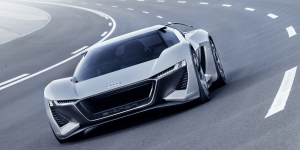 Audi presented their fully electric supercar concept featuring solid-state batteries at the Pebble Beach Automotive Week in Monterey, California. Named the PB18 e-tron, the study is a true look forward. 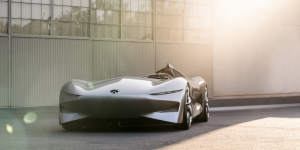 Infiniti has presented a new fully electric concept at the Pebble Beach Concours d’Elegance named the Prototype 10. This will be Infiniti’s first fully electric vehicle. 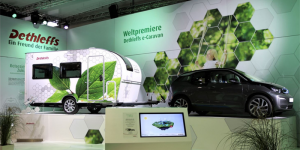 Dethleffs presented their concept for a fully electric motorhome fitted with solar panels at last year‘s Caravan Salon, and have followed up this year by presenting a fully electric caravan trailer named e.home coco. The company famous for the AK 47 rifle has announced that they have developed new military equipment. 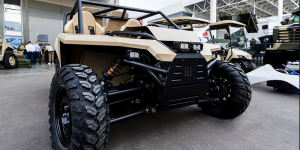 This time, it is not a gun, though – The Russian company is manufacturing a hybrid buggy named the OV-2, which is capable of accelerating up to 100 km/h. 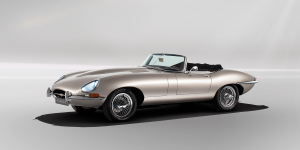 Jaguar has confirmed that their 2017 concept electric E-Type will go into serial production, and that current owners can bring in their E-Type to install an electric motor. This follows “overwhelmingly positive” feedback for their original concept. Forget about traveling to reach a destination. The Autonomous Travel Suite is a hotel room in form of a self-driving electric shuttle featuring all amenities. The German town of Aachen is becoming the country’s hottest e-mobility spot. Share2Drive is the latest startup wanting to make it there. 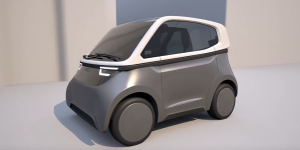 Their small EV called SVEN (Shared Vehicle Electric Native) fits 3 and could hit the road by 2019. Opel-Vauxhall presents a new concept EV. The GT X Experimental is a compact SUV, that is more than an experiment. 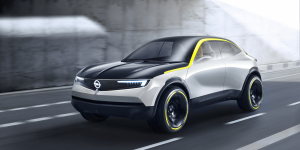 Opel aims to electrify its entire line-up by 2024 and this latest fully-electric study is showing off how these future plug-ins may look like. BMW i9 back from the dead? Despite earlier reports saying otherwise, BMW has not killed the i9. At least not in the U.S. where the label has resurfaced when BMW reapplied to file the trademark. It is unclear at this stage whether this is just a formality or part of a more substantial plan. Japan is known for both its engineering ingenuity and quirky weirdness and the following concept cars illustrate this dual principle perfectly. Among our favourites is the Eliica (ELectric LIthium-Ion CAr) that not only boasts 8 wheels but an electric motor in each. 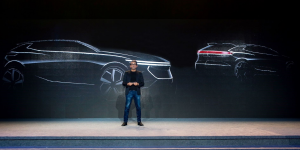 The Chinese manufacturer DearCC, who is mainly known for small, affordable EVs, has founded a premium brand named Enovate. They also presented a teaser for their first vehicle: an electric SUV. 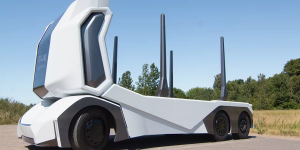 After the autonomous transporter T-Pod, the Swedish startup has now presented another prototype: the T-Log is an autonomous battery-electric vehicle designed for transporting lumber. 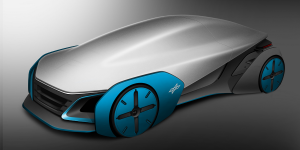 The Swiss company Rinspeed has announced the founding of their startup called Snap Motion, which will further develop their electric concept “Snap”, and produce it in a small series.